It is indeed the most wonderful time of the year! 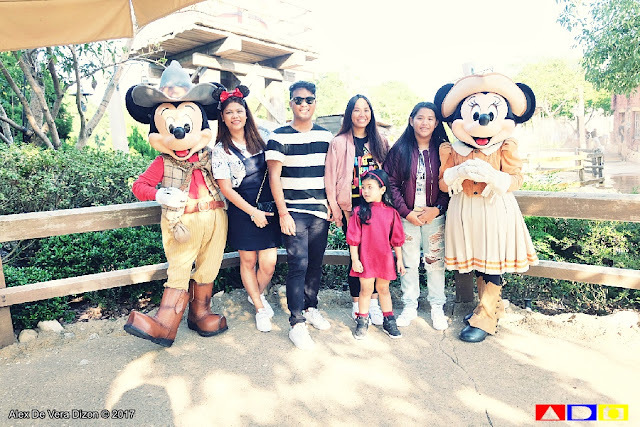 And to welcome this magical season, our family flew to Hong Kong last November 14 to experience the first day of Christmas in the happiest place on Earth, Hong Kong Disneyland! We booked this trip as early as February of this year, so that we could prepare for our family's first out-of-the-country trip, through Cebu Pacific. If not for the Piso Fare that month,w e won't make it possible, so yeah, we were more than excited to make this trip come true. Before arriving in Hong Kong last November 14, we already know the surprise that's been awaiting for us in this trip - and that is experiencing Hong Kong Disneyland in two different vibe - the regular day and the Christmas Season. It was a real treat for us, before it was a week later when we found out that our 2-day ticket in Disneyland will cover the first day of Christmas events, and with the exciting things lined up for all visitors, this was a memorable trip in the making. So, okay, we arrived in a cloudy Hong Kong on November 14. We checked in at Sing Yuet Hostel, one of the most affordable and well-praised hotel in Mong Kok area. We were actually targeting to stay in Hong Kong Disneyland Hotel, but since their rooms can only accommodate four persons, and there's five of us on this trip, we opted to be in Mong Kok instead. This is also our excuse for shoe shopping, since Sing Yuet Hostel is just around the Sneakers Street. Wee! On our first day in Hong Kong, we went around Mong Kok area so buy some shoes - lucky us again, they have this 11.11 (November 11) Sale, so most of the sneakers that we got were on sale. Yay! Afterwards, our family went to Central to see The Peak. We booked this activity through Klook, so we got a discounted rate, and we were able to save time because we don't have to fall in line at the tram service. Sadly, the gang didn't enjoy this one that much because they got afraid of the heights and they were so many people that time, and the place was being renovated, so there we only a few space for all guests. We sleep early that night in preparation for the most anticipated part of this trip, our 2-day Disneyland adventure. We we're lucky to book our 2-day Hong Kong Disneyland adventure for only HK$649 for the adults, while HK$461 for the kids 11 years old and below. To summarize out 2-day trip here at Hong Kong Disneyland, well, we got tons and tons of pictures from the stunning and well-decorated park. We were able to see some characters around including Mickey and Minnie, to whom we had 3 pictures with. We also saw the Chip 'n' Dale, Donald and Daisy, Princess Sofia, Buzz Lightyear and the Toy Soldiers. On our first day in Disneyland, we had a wonderful time exploring the Main Street, U.S.A., where we bought my nieces' Snow White costume; Tomorrowland where we had a great time flying with Iron Man; Fantasyland, where we had our lunch at the Royal Banquet and saw Mickey’s PhilharMagic; Toy Story Land, where we tried the thrilling rides of RC Racer and Sliky Dog Spin; Mystic Point, where we met Lord Henry Mystic and his adventurous monkey, Albert; Grizzly Gulch, where we enjoyed the Big Grizzly Mountain Runaway Mine Cars; and Adventureland, where we relax our tired feet and just enjoy looking at Tarzan's Tree House. On our first day, we also got a chance to see the Flights of Fantasy Parade featuring Mickey and Friends, as well as the "Disney Paint the Night" Nighttime Spectacular. Need to say more, we were so tired that day that when we reached the foot our beds, we just laid down to realize how tiring but super fun that day was. Our happiness continues to Dream Land by 11 o'clock that night. On our second day, we arrived a little late, but with much excitement in our hearts because on this day, the whole theme park sparkles with more Christmas carols and trinkets! So, instead of trying other rides, we fall in line again to have a picture with Mickey and Minnie, who are dressed in these elegant red and green outfits. After that, we just had a quick lunch along Main Street so that we could get a good spot to see the first Christmas show of Hong Kong Disneyland, the Mickey and Friends Christmastime Ball. The show featured Mickey, Minnie, Donald, Daisy, Goofy, Pluto, Chip ‘n’ Dale, who were joined by Duffy and ShellieMay, who sung and dance and wish for snow in their finest holiday costumes. Duffy and ShellieMay were also joined by StellaLou, who made a special debut that day! After that, since the kids enjoyed the Mystic Point, Grizzly Gulch, and Adventureland, we went back there to spend the rest of the afternoon. Lucky us, we saw another Mickey and Minnie there, my favorite Buzz Lightyear, as well as catching the afternoon show of Festival of the Lion King. By 6pm, our group head back to the Main Street to see the spectacular Christmas Tree Lighting, which was ushered by the Magical Twilight Snowfall. After that, we watched for the last time the "Disney Paint the Night" Nighttime Spectacular, which was followed immediately by the “Disney in the Stars” Fireworks. And just when we thought that this magical night will end in sparkles, on our way out of the park, A Holiday Kiss Goodnight mini concert bid us all goodbye with Santa Goofy singing for everyone. Disneyland is indeed the Happiest Place on Earth, and with Christmas spirit all over the place, you don't really want to end this wonderful, magical and Christmas-y adventure! I can't wait to spend more amazing travel adventures with my family! 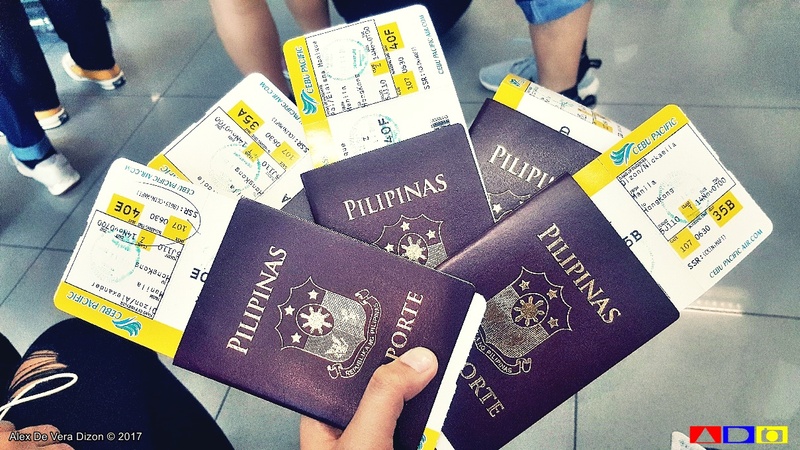 And I hope that this is just the beginning of more memorable out-of-the-country trips will them! To know more about Hong Kong Disneyland, and other amazing treats that's awaiting everyone this Holiday Season, you can visit https://www.hongkongdisneyland.com!